Manufacturer of a wide range of products which include ss plate type heat exchangers, two pass water cooled after cooler and shell and tube heat exchanger. We are offering SS Plate Type Heat Exchangers that use plates to transfer heat between two fluids. We are one of the largest manufacturers and suppliers of Two Pass Water Cooled After Cooler. 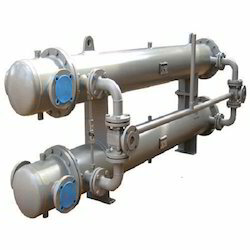 Clients can avail from us an extensive array of Shell AndTube Heat Exchanger to our esteemed clients.